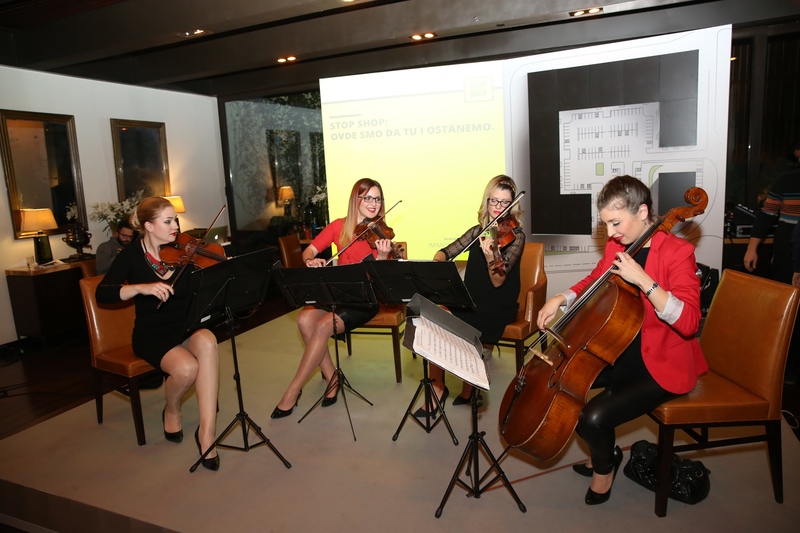 If you want to organize a Celebration or Promotion of your Firm, Company, or you are the Agency hired to design this kind of Event, we have a great recipe for you : modern hotel lobby, String Quartet to welcome your guests, familiar face of the famous TV host to introduce everybody with your idea and, as a cherry on top of the cake, the most popular singer in this region. In such event, our quartet Habanera had the opportunity to perform. 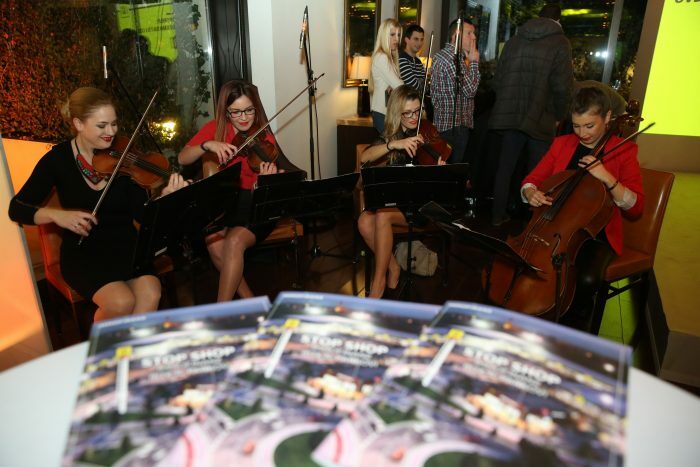 It was the IMMOFINANZ happening, which included promotion of the Stop Shop retail Parks that already exist in Serbia, and ones that are about to open. After the Opening part of the Program, which we had an honor to fulfill, charming TV host Jovana Joksimovic presented the official part of the program trough the 3D presentation of the Stop Shop parks. 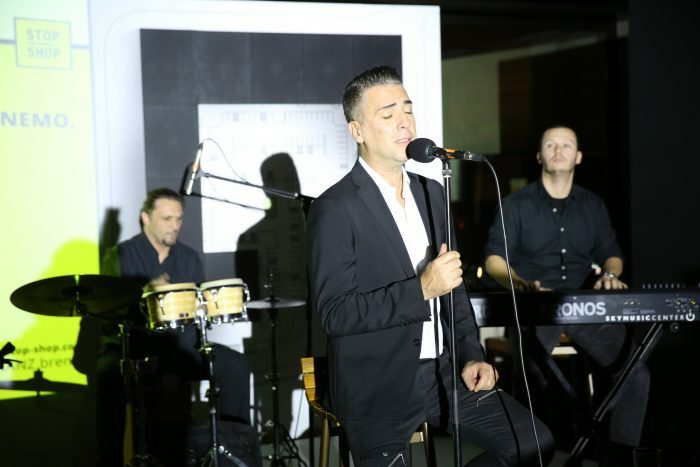 A Performance of the great Pop Star, Zeljko Joksimovic who sang his biggest hits, unplugged, was welcomed with a great applause. 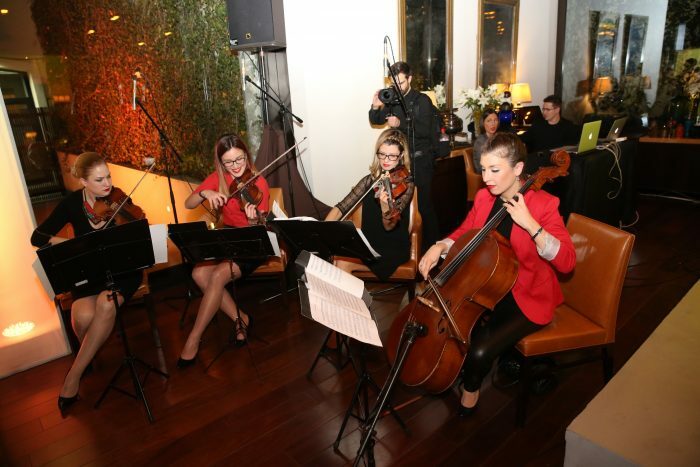 We have closed this wonderful evening and Event with world known hits in our arrangments, that we are already known for.